Your bathroom is the space that rubs out all your worries and dullness. A single shower and you are rejuvenated again. 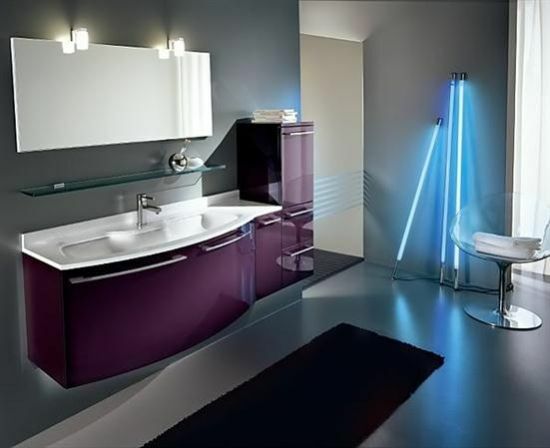 You can experience the best comfort and pleasure once you have the right aura for your bathroom. It does not make any sense if your bathroom is dull and humdrum. It is only going to double your stress and multiply your worries. In the presence of a right bathroom, you can experience so much of charm and exhilaration. There are many families that are switching to Modern bathroom décor. Actually, this modern bathroom design can easily be infused in most of the bathroom styles so as to get an attractive mid-century look. Angular and flowing designs for fixtures coupled with Geometric patterns , furniture and countertops along with concentration on high-quality synthetic or natural materials are indeed stamps of modern bath décor. If your entire house is stylish and you want to come up with something traditional then you can go for conventional bathroom designs. These designs can give your shower time a traditional feel. Just because the entire décor of your bathroom is conventional, it does not mean that it is going to be less luxurious. Luxury is everywhere and you can make the most of it in all the patterns and designs. The only thing that matters the most is space. You have to be sure about the space with a right design. If the pattern of your bathroom is not friendly and complementing; it might give your space a dull feel. Actually you know what; modern style can mean different things to different individuals. But in a general sense, when you refer to modern design, some of the similar ideas come together like neutral or basic shades, geometrical shapes, little to no ornamental flourishes, and natural stuff. You can go for some fresh flowers too. The fresh flowers surely make the room for your bathroom. Not only do these flowers add a pinch of color but they also make your bathroom less disinfected, and more lived-in and friendly. You can go for flowers that you like the most or simply the flowers that are of your choice. Another feature of many of the modern-style bathrooms is open plan. It is generally including transparent glass walls around the showers. This is something that is especially wonderful in tinier spaces. If you have a compact bathroom, you might go for these transparent glass walls. These things can do a trick for your bathroom for sure. And yes, not every bathroom has to be sterile and cold to be modern. You can go for a bathroom that is definitely has more decoration than most of the bathrooms, but they can be simple: empty frames, candles and paddles. It is all about how you have arranged things and which type of décor items are there that you have snuggled within your bathroom space. So, once you have decided that you will be decorating your bathroom soon; don’t forget to keep these things in mind. And above all, you can anytime take assistance of professional bathroom decorators.